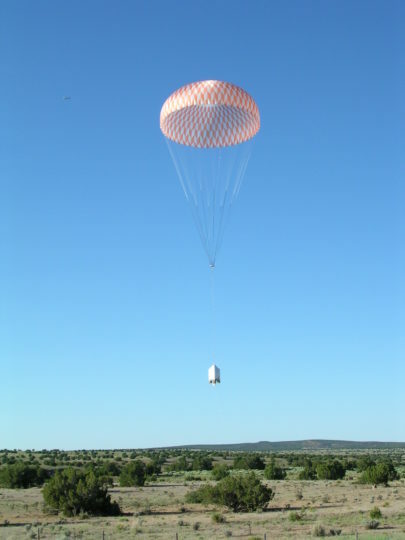 Raven Aerostar's payload recovery parachutes have performed reliably on thousands of flights conducted by NASA, Google, government entities, and other space agencies around the world. These parachutes are specially designed to recover payloads from altitudes as high as 160,000 ft.
Raven Aerostar's payload recovery parachute holds the record for the heaviest payload recovered from a stratospheric balloon flight at 8,000 lbs. 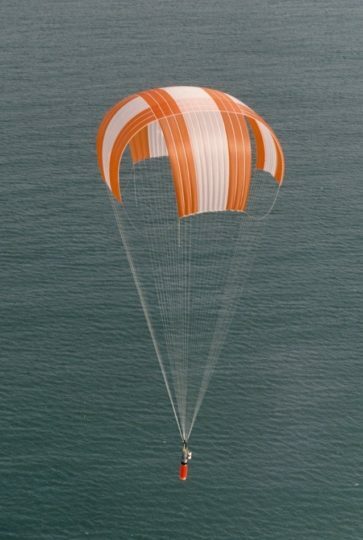 Interested in learning more about how our parachutes can ensure safe and reliable payload recovery?